I’ve been spending many hours working in the paleontology exhibit of my local museum this week. Possibly too many. Today I kept substituting the German name for The Big Bang – Urknall – for the English name of everyone’s favorite highwater-pants sporting nerd. 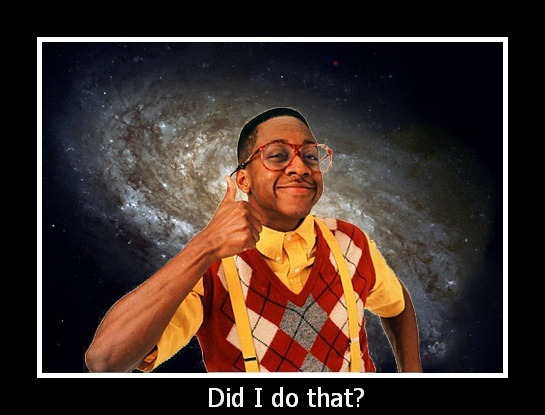 On the first day, Urkel created the universe.